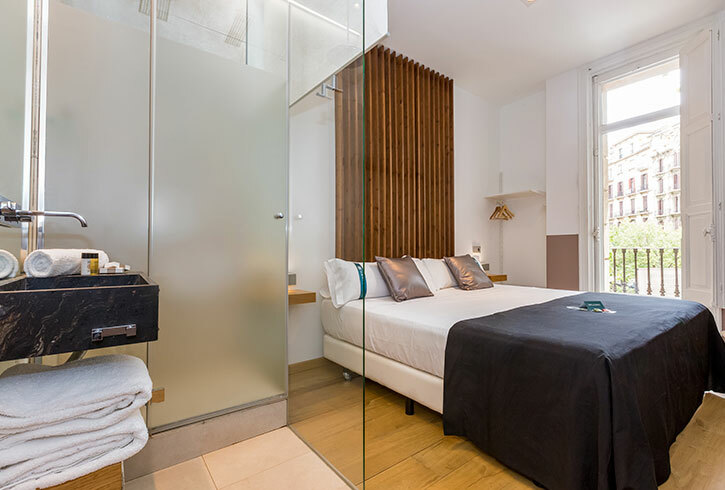 The Cosmopolitan Boutique Hostal is located in the heart of the city, on the Rambla de Catalunya, a few meters from Paseo de Gracia where we can find La Pedrera, Casa Batlló among other Barcelona landmarks. It is located on an avenue full of shops, cafes and restaurants. It is a great option for travelers interested in architecture and gastronomy both international and local. 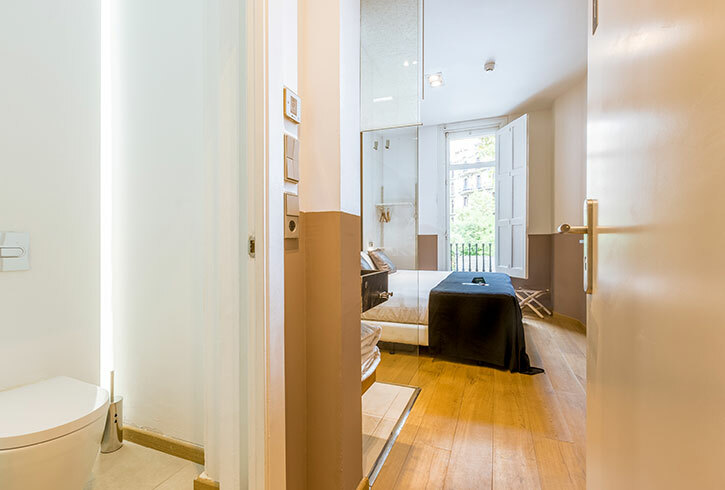 Thanks to its location, 50 meters from the Diagonal metro station, it is easy to get to other places of interest in the city or even outside. 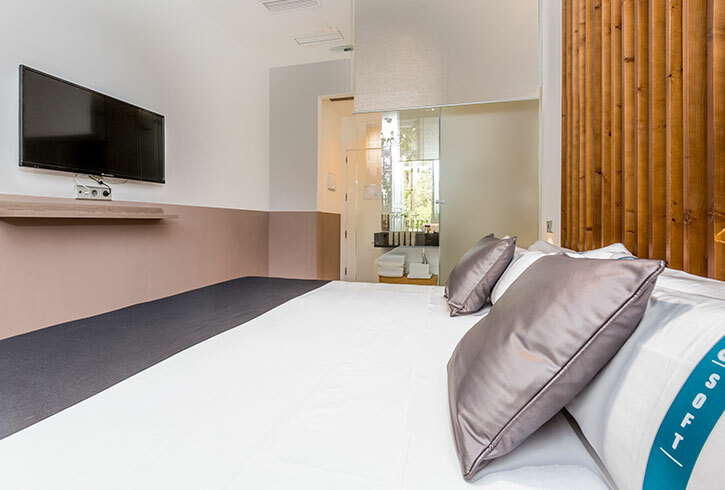 In the Cosmopolitan Boutique Hostal we have several types of rooms all with modern decoration, very comfortable and bright, standard, superior, suites and family Suites. With WiFi, plasma TV 40″, private bathroom, individual climate control system. We also provide you with complimentary water, coffee, tea and amenities to take care of you throughout your stay. In our design hostel you will find a quiet and familiar atmosphere in which after a busy day in the city, you can relax in our lounge or in our cozy terrace. We have cleaning service and private parking at 50 m. The reception is open from 8 am to 11 pm, after 11 pm you can check in via a switchboard when you ring the bell. Our team is dynamic and international, we speak several languages and we are at your disposal to suggest visits or any questions you may have during your stay! Monday-Sunday from 8:00 a.m. to 20:00 p.m.